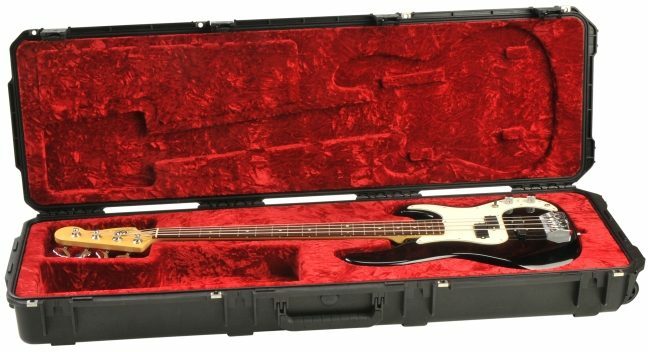 The waterproof SKB 3i Series injection molded bass guitar case protects your valuable instrument from impact damage and the elements. The quiet glide wheels make it convenient to transport thru any venue. 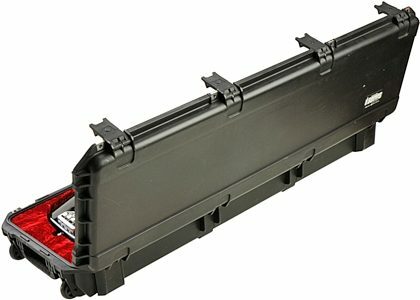 The SKB 3I501444 case is constructed of ultra high-strength polypropylene copolymer resin and feature a gasketed, waterproof and airtight, submersible design (IP67) that is resistant to corrosion and impact damage. The plush interior provides total neck support and protection on all sides. 3i Series injection molded waterproof cases are constructed of ultra high-strength polypropylene copolymer resin and feature a gasketed, waterproof and airtight, submersible design (IP67) that is resistant to corrosion and impact damage. Its continuous molded-in hinge, patented "trigger release" latch system with TSA recognized and accepted locks, four reinforced locking loops for customer supplied locks,comfortable, snap-down rubber over-molded cushion grip handles, secure stacking, and automatic ambient pressure equalization valve (MIL-STD-648C) all contribute to its military grade design. The plush interior provides total neck support and protection on all sides. "Worthy investment for touring, especially overseas touring." 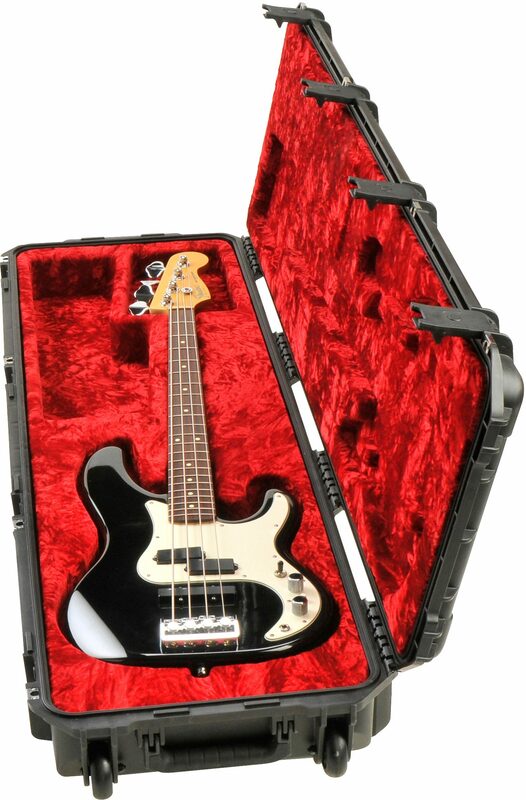 Sound: As for a hard plastic bass case, it has a dead thump when I hit it. Feature: The luggage- style wheels make it essential for schlepping through airports. Ease of Use: P-bass fits snugly. Enough compartment space for boss tuner, cables, set of tools. Flew over to the UK and currently on a Euro tour. Very lightweight. So far, working great. Quality: It's the same hard plastic used in pelican cases. It is made for tour and overseas travel. One seam does not appear to mate very well, but you can hear the air being pushed out when you shut it. The seam is my only complaint. Value: Expensive, but I think this will be a worthy investment. The Wow Factor: You might only get a better case if it is custom made, but encased in the pelican material.